To learn more about the diploma, the modules it covers, the learning outcomes etc, click here. Remember: If you would like to sign up for the course, please e-mail either ameenah_azman@yahoo.com or raihananuar@yahoo.com to enjoy the discounted price. The lower price covers everything listed on the official CIMA website. 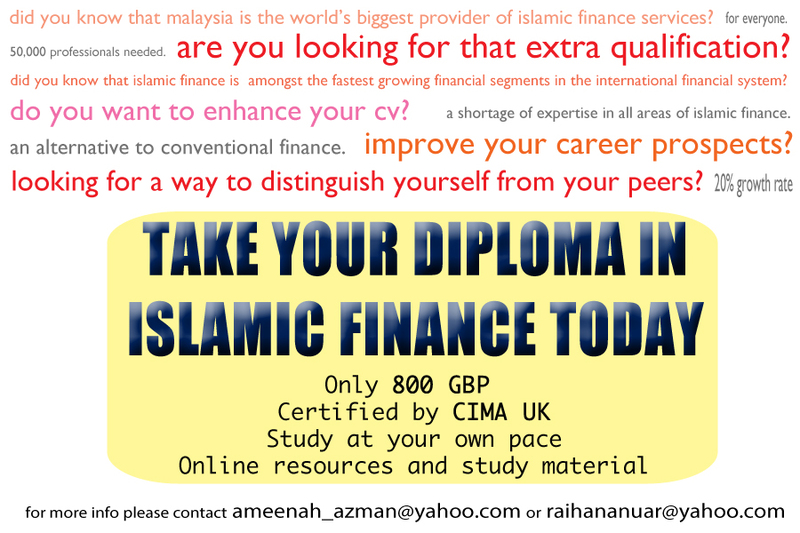 We enjoy a discounted price because of our connections with a Malaysian Islamic school offering this diploma.